Manufactured in Japon from 1964 until 0. This twin lens reflex camera is the camera of the transitions. For that, it is equipped with not very perennial technical solutions and which the aesthetic side could be discussed a long time between the collectors and the amateurs. 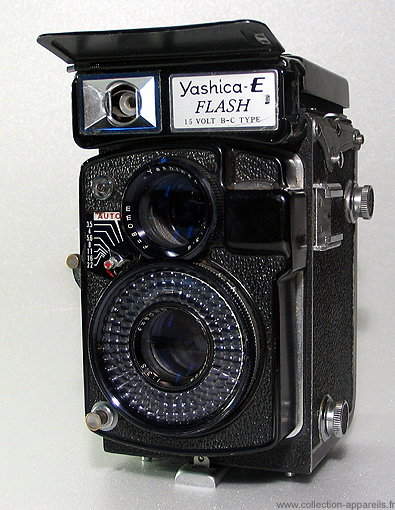 Under the name plate is a small parabola and a socket for a bulb of flash AG-1. Around the lens of taking a cell is. It is astonishing besides that this camera was not named “EE”. 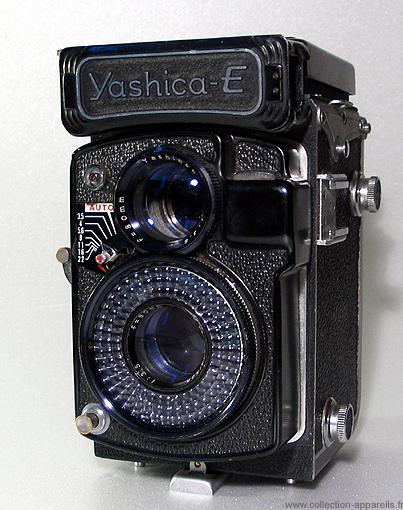 It is the first Japanese twin lens reflex camera equipped with a cell.